When you rent a car anywhere you take your chances on what the rental company serves up. So, it's 7:30 on a Thursday morning in Rome and we've rocked up to the Europcar desk to pick up a car for our 20-day Grand Tour of Italy and France. Our agent is just a joy. 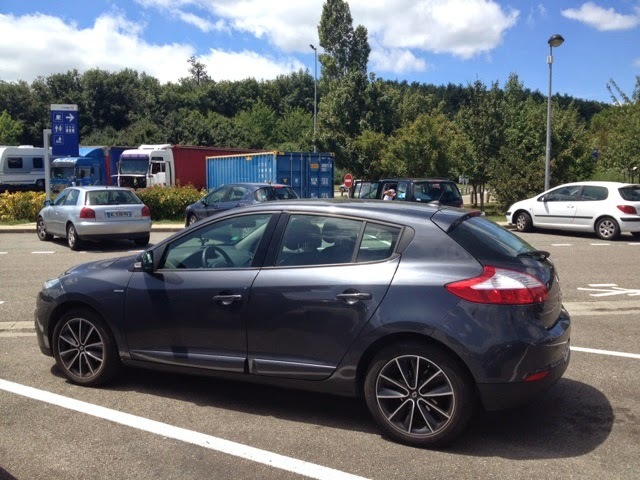 A gorgeous Italian lady who looks at our booking in detail and says: "If you are finishing your rental in France, wouldn't it be good if we can find you a French-registered car." So, she searches through the car park until coming up with a winner! We get a Renault Megane CID 5-door hatch, with one of the world's best diesel engines, fluid six-speed manual, BOSE sound system, Bluetooth and superbly comfortable seats. Plus a great boot, which hides our luggage when we park for sight seeing. More later as our Grand Tour continues. So far the car has been a gem. Excellent fuel economy, ample performance, quiet and very comfortable. More later, as we continue our journey. Suffice to say, Renault has produced a great Touring Car.